As a leading manufacturer in the frozen food industry, Ajinomoto Foods North America is dedicated to contributing to a healthier lifestyle through nutritious and balanced foods. With a commitment to excellence and innovation, all our products are cooked with our customers in mind, providing healthy and delicious meals for all. We currently operate eight factories and two main offices domestically in the United States. 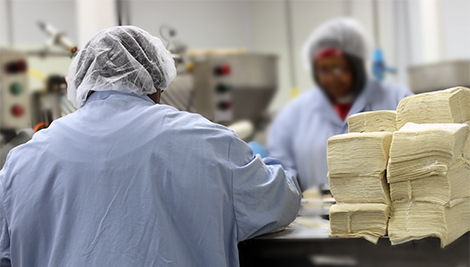 With over 2,500 employees working around the clock, we serve as a brand leader across all categories of frozen foods. Our products span across the largest categories of ethnic frozen foods ranging from Mexican to Italian to Asian across every distribution channel including foodservice, grocery, warehouse club, and custom manufacturing. Umami joins tastes such as sweet, sour, salty, and bitter. These are all unique and cannot be created by mixing other tastes – they are known as primary tastes. Umami provides a pleasant, savory sensation that balances the four other options. The origin of “Umami”, the fifth taste, began with the two founding fathers of the Ajinomoto Group: Dr. Kikunae Ikeda, Discoverer of the umami taste and Saburosuke Suzuki II, Founder of the Ajinomoto Group. Japanese professor Dr. Ikeda identified glutamate as the substance responsible for a new taste. Ikeda’s discovered Umami as he experimented with broth made from seaweed (kombu). Through careful research of the kombu broth, Dr. Ikeda discovered glutamate, an amino acid, gave kombu the distinctive taste and proceeded to invent a method for producing seasoning that highlights glutamate as a key component. With the discovery of umami, Dr. Ikeda was determined to “improve the nutrition of the Japanese people” through healthy and delicious foods. Businessman Saburosuke Suzuki II also shared this vision and launched a business to begin marketing the first Umami seasoning: AJI-NO-MOTO® in 1909. This deep, intense flavor can be found through proteins like pork, beef, fish, and shellfish make strong umami foundations. Vegetables like tomatoes, mushrooms, and seaweed, are also high in glutamate (umami). It contributes to a healthier diet as the savory flavor can still be reached through the use of Umami and lower sodium. It highlights the intrinsic flavors of the ingredients. It improves the quality of life for the elderly. 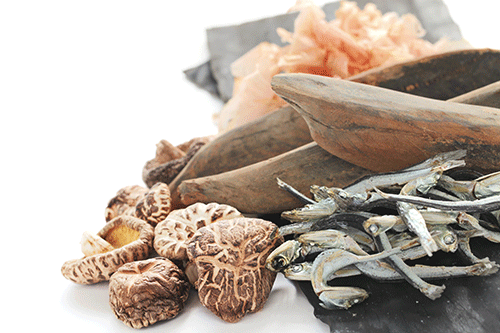 Umami is believed to promote salivation and heighten the sense of taste, thus improving their quality of life. To read further about Umami, please visit the Umami Information Center. For further resources and information about Umami, please visit our new Global Umami Site.